All I know is that Tatsujin is piloted by none other than Yuki. I was under the (mistaken?) impression that Schneider from Batsugun was the pilot from Tatsujin. Now why would you think that? Because of Toaplan? No, because the ship has some similarities to the one from Truxton and he's an old man who woke up from cryogenic sleep. That's probably the Flying Shark/Fire Shark guy tbh. Isn't the Fire Shark pilot a ghost? By the end of the game, probably. I seem to recall looking at scans of the PCB manual and the "story" section implied, in broken english, that the pilot of the player craft is an apparition. Wasn't able to find those scans, but the Genesis port's manual says this as well. "Special" out in the West on the 30th. The 'official' Toaplan line is that the story was created after the fact for the home release. 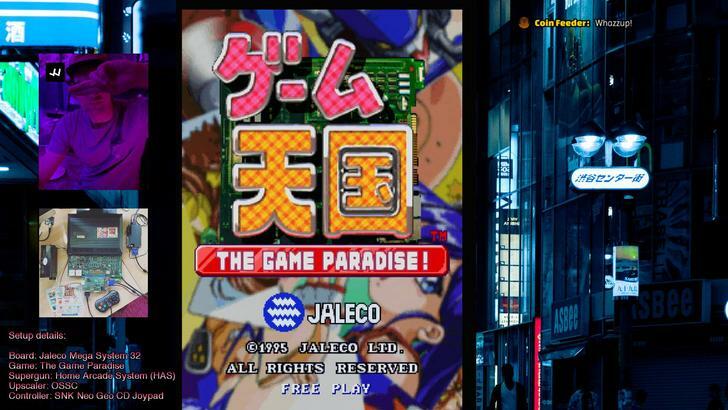 Game Tengoku's Data Mode goes into it in detail, but the pilot was called Tatsuo, or Tom in English. When's the actual Tatsujin port? You can tell us, no one reads these forums anyway. Ha! If I could, I would. Who knows, M2 have an event in Tokyo tomorrow with an announcement scheduled, so maybe...? Just dropping in to let you know Game Tengoku's English update is out on Steam along with a weekend sale. The PS4 should be going live sometime in the next 24 hours. Anybody who already owns it (either platform) will receive it as a patch. I better not miss the memo when the LRG version launches. What will the price point be for the uber fancy version? Good news on the really complete limited edition on PS4. Really happy to see that you've put a lot in it to make it the best version. I cancelled may Japanese Special Version Gokuraku box preorder in order to get your version instead, so I hope I won't be disappointed by not being able to get it ! Is the physical Japanese PS4 version of this going to have English options also? Nice job getting the English version released! Does anyone know if I can use my PS3 arcade stick to play this? It's likely you can on PC, but not PS4. Still no sign of this on the EU PSN Store, strange. Anyone buy this? Or is everyone waiting for the Tatsujin stuff to drop first? I was not aware that this game had been on steam for a year 0_0. I'm slightly confused: the CruisinMix Special version came out 4 days ago, yet the store page says it got released last year. I suppose this was a free DLC/update over the original CruisinMix? What are the differences, exactly? The base game was released for Steam in Japan a year ago, the new version was released internationally. I do not know for certain, but I thought the latest release was simply the international version. I was aware when it came out, but held off until it had the English version. The game seems to run fine and it is fun, but its not something I was looking forward to. I've played it a few hours and may never pick it up again. I picked it up because it didn't look bad and I wanted to show support for shmups on PC. 'Special' was a free update which included the English localisation. Localisation was always planned (but delayed), Special was something which came up after the games PS4 release in Japan. We decided that having kept everyone waiting so long, rather than just release the non-Special version, we'd include that and the localisation in the international release. Steam got it too because, as you know, there are no 'regions' on th eplatform. James please bully Cave into releasing more games on steam. Especially the Pink Sweets/Muchi Muchi Pork port they made. I'd rather discuss in a friendly manner though to be honest, it's not quite as simple as it seems (but what is?!). Would love to see more of their games on more platforms though.